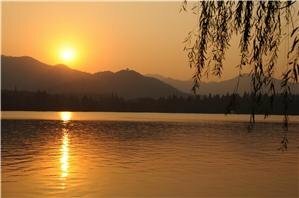 Hangzhou&apos;s beautiful scenery is "paradise on earth", and the setting of romantic legends (The Butterfly Lovers and Legend of the White Snake). 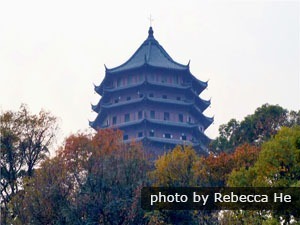 For travelers who have never been to this beautiful place, we provide this guidance on planning a Hangzhou tour. Cycle on Su Causeway in Spring. Spring is the best season to visit Hangzhou. With the flowers blooming, spring makes Hangzhou more beautiful. 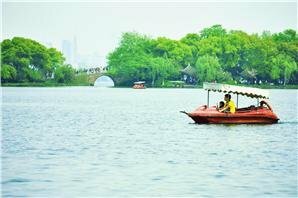 It&apos;s a good season to walk along West Lake and go boating in nearby water towns to enjoy the spring scenery. Prepare well for rainy weather, and avoid the May 1–3 holiday. The average high is over 30°C (86°F) in Hangzhou&apos;s summer, and the school summer holidays are the most crowded part of the peak season. It&apos;s not a good time to travel. But the lotuses blossom in West Lake is blooming, making West Lake more attractive. Appreciate moonlit evenings around Mid-Autumn Festival. Fall offers cooler weather. 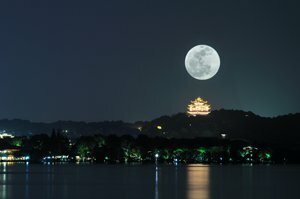 The biggest highlights of autumn are the most spectacular Qiantang River tidal waves, and classic spots to enjoy moonlit evenings around Mid-Autumn Festival. Avoid the October 1–7 holiday. 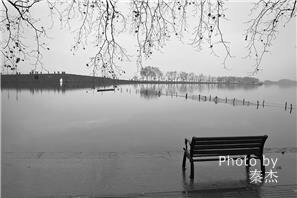 Winter&apos;s top benefit is that it&apos;s quietest in Hangzhou. Plum blossoms are in their most beautiful season. But winter in Hangzhou is very cold. The temperature can drop below zero. Avoid the Chinese New Year travel rush. West Lake is the most famous attraction of Hangzhou and is considered one of the most beautiful sights in China. 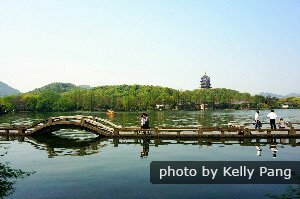 It&apos;s a large man-made lake, with ten famous sites to appreciate different scenery at different times, such as Three Pools Mirroring the Moon, Su Causeway, Broken Bridge, and Lotus in the Breeze at Crooked Courtyard. Lingyin Temple is just 3 km (2 mi) west of West Lake. ‘Soul&apos;s Retreat&apos; Temple is a very peaceful place, and one of the most important Buddhist temples in China. Lingyin Temple has plenty of Buddhist relics and nearby Peak Flown From Afar has Buddhist grottoes and rock carvings. These are great cultural treasures. Entry: 45 yuan (7.5 USD) for Peak Flown From Afar Scenic Area. 30 yuan (5 USD) for Lingyin Temple. Impression West Lake is a live show at night on West Lake. Hundreds of dancers perform on lifting platforms with music and light. This 1-hour show tells a beautiful but sad story with five acts. Enjoy the show, and appreciate the night view of West Lake. Six Harmonies Pagoda stands by the Qiantang River. It has 13 stories and is about 60 meters (197 feet) tall. It&apos;s said that this pagoda was built to suppress the evil thought to cause the river&apos;s tidal bore, best seen from Haining. Entry:20 yuan (3.5 USD) for the park, 10 yuan (2 USD) more for the pagoda. Qinghefang Old Street is just 10 minutes&apos; walk east of West Lake. It used to be the most prosperous street of Hangzhou in ancient times. You can taste local food in the restaurants, and buy souvenirs and Chinese tea. There is a Chinese medicine museum called Huqingyu Pharmacy Hall. Learn how to pick tea leaves in Meijiawu Plantation. 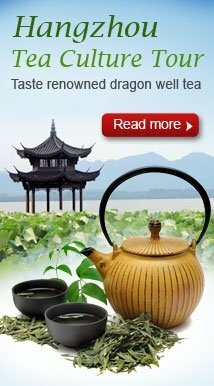 Meijiawu Tea Plantation is renowned as one of the most important producers of Longjing tea (Dragon Well tea, one of the most famous teas in China). The tea plantation covers an area of more than 800 square kilometers (500 square miles). 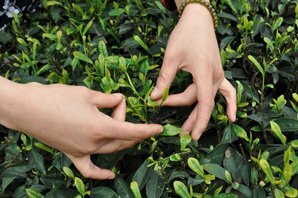 You can learn how to pick tea leaves. You can see the process of creating Longjing tea and experience Chinese tea culture. If you want to experience Chinese water town life, put Nanxun Water Town in your itinerary. It requires one day. 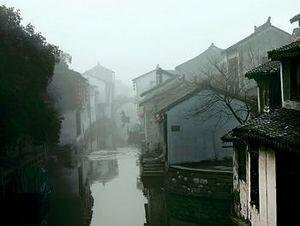 Nanxun Water Town is about 1 hour&apos;s drive from Hangzhou. It is not as famous as Wuzheng and Xitang. It is thanks to this, that Nanxun is the most original and picturesque town, filled with tranquil ambiance. 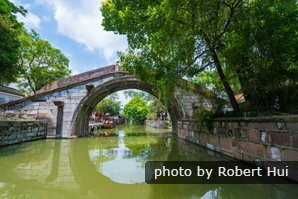 The town&apos;s highlights are numerous bridges, ancient lanes, and ancient buildings combining traditional Chinese and Western architecture. Most hotels at the lakeside are expensive 5-star hotels. You can appreciate the fantastic West Lake view from the comfort of your hotel. Four Seasons Hangzhou at West Lake ranks 2 on Trip Advisor for Hangzhou hotels. It&apos;s at the northwest side of West Lake near Su Causeway. Wulin Square is about 3 kilometers northeast of West Lake. You can find many upscale boutique stores, big brand stores, and discount stores there. Tour buses depart from Wulin Square and the airport bus stops there. The East Hotel Hangzhou ranks 3 for Hangzhou on Trip Advisor. It&apos;s very convenient for shopping malls and West Lake. It&apos;s about 15 minutes to Su Causeway by taxi. Many public buses go to other attractions. 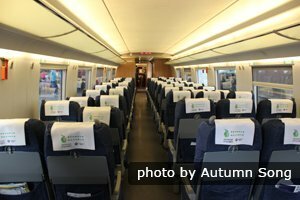 Take a comfortable bullet train to Hangzhou. Suzhou/Shanghai–Hangzhou: around 1 hour and 50 yuan (8 USD). The bullet train makes it possible to travel to Hangzhou from Suzhou/Shanghai and come back in one day. The journey is around 2½ hours by bus for about 70 yuan (11.5 USD). There are many bullet trains from the main cities to Hangzhou. Our China Train Ticket Service has all you need to plan and book a trip. From Hangzhou Station you can take bus Y2, K7, 11, or 151 to West Lake. Hangzhou East Station is less convenient. Major tourist cities Beijing, Xi&apos;an, Guilin, and Guangzhou are about 2 hours away. Hangzhou (Xiaoshan) Airport is about 30 kilometers (19 miles) east of Hangzhou city. It takes about 50 minutes from the airport to city center by taxi. For West Lake get off at Hangzhou Station and take bus Y2, K7, 11, or 151. 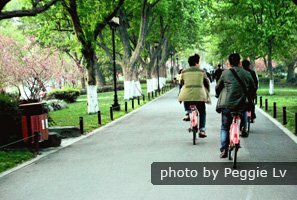 See our lowdown to transport in and around Hangzhou. 2-Day Hangzhou Highlights & Grand Canal Heritage Tour: Visit a Dragon Well tea plantation, and explore Grand Canal and West Lake by cruise. 5-Day Shanghai, Hangzhou and Watertown Culture Tour: This tour offers the best of the three most important cities in the Yangtze Delta. 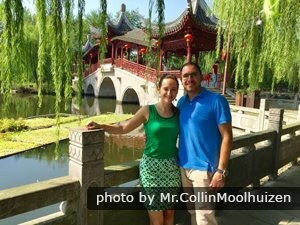 See more Hangzhou tours or contact us to tailor-make your own unique Hangzhou tour.